Scanned as part of the Howard University Digitization Project by Backstage Library Works. This digital object was funded in part through a grant from the Andrew W. Mellon Foundation. All photographs are copyright protected by the Howard University Archives. 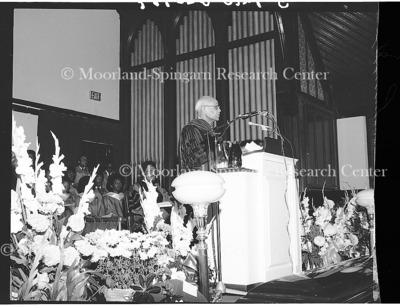 For rights, permissions and high resolution scans of images, please contact Dr. Clifford Muse, University Archivist at cmuse@howard.edu or 2020-806-7498. Be sure to reference the Negative number for each photograph.